EZTrader, a provider of binary options and other financials services, has secured the services of veteran sales executive, Yossi Gafni, who joins group with immediate effect, Finance Magnates has learned. In his new role Mr. Gafni will serve as the group’s Vice President (VP) of Sales, joining the company from Anyoption. His hire is the first marquee appointment at the binary options provider in H2 2016, who in the process taps the longtime sales veteran. Prior to joining EZTrader, Mr. Gafni worked at Anyoption for over two years in a similar role as its VP of Sales, dating back to 2014. 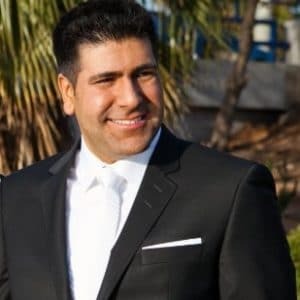 In addition, he has held several other senior sales positions, including stints at FXCM Israel as its VP of Sales and Ava FX as its Head of Sales, part of a career extending back over a decade to 2005, according to information made public on his Linkedin profile. Additionally, EZTrader has tapped Mark Kreimerman as its newest Chief Technical Officer (CTO) in a parallel announcement.